Just like fragrances, specific foods can invoke strong memories; for me, this is especially true for peanuts. Peanut butter reminds me of making peanut butter and jelly sandwiches after school. Peanut butter is a comfort food for me, and will always have a place in my pantry! 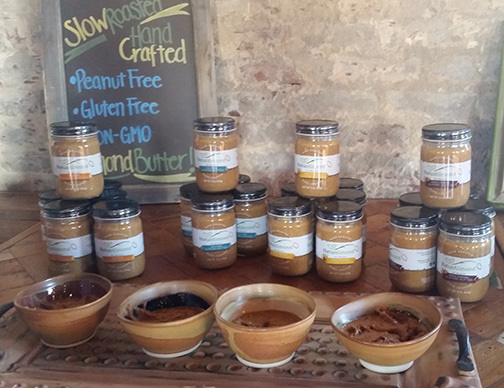 So, when I learned that there is an entire month devoted to it (National Peanut Month is March) and that there was a Georgia company holding a tasting for their newest line of peanut butters, I was more than happy to attend this event. 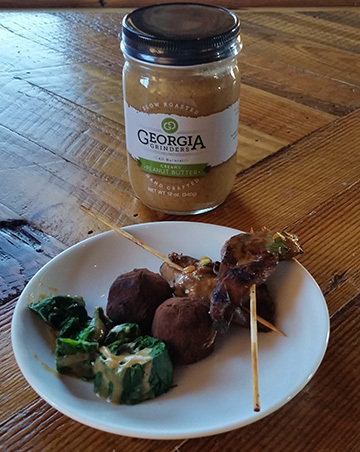 Recently Ryan Smith, Executive Chef of Southbound restaurant, presented a variety of dishes and desserts using Georgia Grinders small batch, premium peanut butter. As soon as I arrived at Southbound and walked through the door, I was entranced by the scent of bacon. I just knew that I would enjoy this tasting. The menu included Chicken Satay with Peanut Sauce, Steamed Spinach Goma-ae with Sesame Sauce, Grilled Peanut Butter and Bacon Sandwiches, Peanut Butter Brined Pork Belly with an Apple Peanut Compote, Peanut Butter and Chocolate Truffles and a signature drink, the Georgia Grinder Peanut Butter Cup. Everything was delicious! Other than Pad Thai, I was not aware of the many ways that peanut butter could be used in cooking. Each dish was full of flavor and several had a slight spice to them. My three favorites were the Chicken Satay, Steamed Spinach Goma-ae and the Peanut Butter Brined Pork Belly with Apple Peanut Compote. These three dishes were little parties in my mouth and I had to restrain myself from going back for thirds and fourths! The heat of the ginger and red pepper paired with the smoothness of the peanut butter dip and sesame oil on the chicken satay was divine. 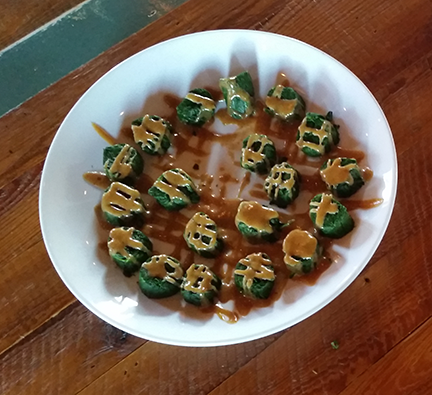 The spinach goma-ae was so light and refreshing, I felt like I could just keep eating it and never get tired of the silky texture and smooth flavor. 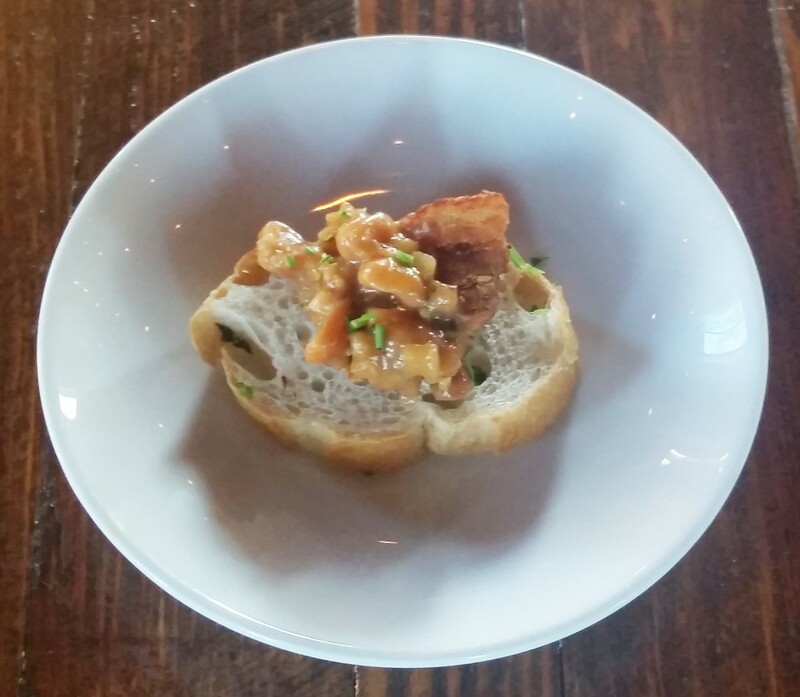 Finally, the dish I kept calling Peanut Bruschetta, the peanut butter brined pork belly and apple compote, was sweet, smokey and a meal in itself. Served atop a slice of french bread, this dish was a complete meal in itself and I really enjoyed it. Georgia Grinders Peanut Butters are available in both Creamy and Crunchy varieties and are made with two simple ingredients – Non-GMO Georgia grown peanuts and sea salt. This makes for a peanut butter that is far less sweet and more pure in peanut flavor than I was used to as a child. Paired with my favorite strawberry jam or grape jelly, I am sure that this peanut butter will not dissapoint – the only choice to make is crunchy or creamy? Georgia Grinders Peanut Butters are available now in regional Whole Foods, Sprouts farmers markets, Central Market Stores abd hundreds of gourmet specialty shops, as well as online at www.naturalmond.com/buy-it. The peanut butters retail from $5.99 to $6.99. Eboné Smiley is a California Girl with a Southern twist, UGA graduate, personal stylist, business coach, social media enthusiast and fashion loving foodie. When she isn’t hosting pop-up shop style sessions, she can be found listening to a self-help audiobook while she flips through a travel magazine. 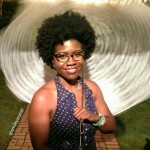 She lives and works in Atlanta, but her motto is “Have Style, Will Travel! ” Her closet is fuller than her refrigerator and she will soon launch her eponymous blog Empty Fridge, Full Closet. Keep up with her on Twitter, Facebook, Pinterest, and Instagram.